I thought i would share my latest lipstick purchase, and a nice little outfit too! This is the outfit I wore this tuesday, consisting of a lovely late 50s boussac cotton floral skirt, gap top and clarks shoes. 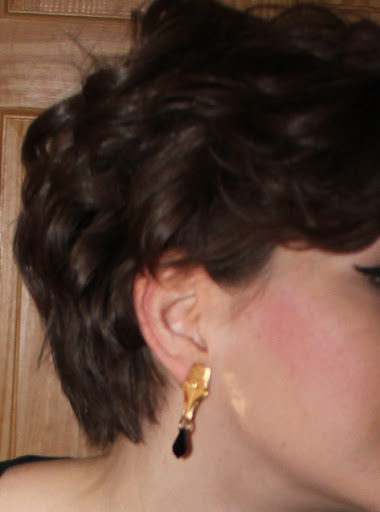 The highlight of my outfit though has to be my Tatty Devine pen nib earrings! I love these earrings. From a distance they look quite conventional until you get close up and see they are little pen nibs with ink drips! On to the lipstick though! 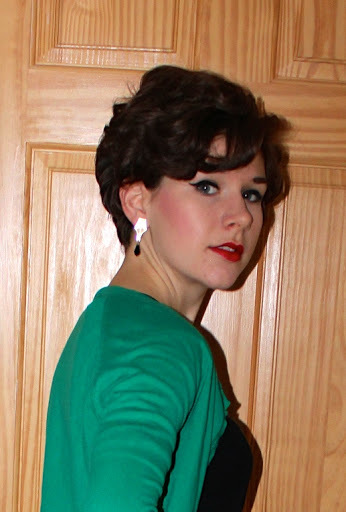 I have been wearing the same YSL red since I was 17. I like a red with a teeny hint of orange to it. I’ve tried other ones since, but I always go back to YSL 150. My only reason for buying a different lipstick was Superdrug 3 for 2, but I’m pretty impressed with my choice! 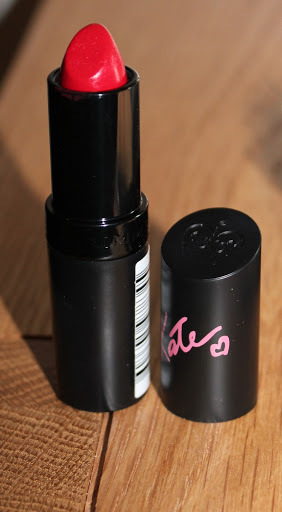 I purchased one of the new-ish Rimmel Kate Moss lipsticks in shade 22. It’s a lot deeper red than my other one with a slight hint of pink to it. I have to say I absolutely LOVE the colour, although it doesn’t have particularly great staying power. « Winter may be closing in, but I still think it’s summer. You look beautiful, skirt is amazing, and I really like your hair.P.s. that lipstick is great, perfect shade of red! love your skirt. it's amazing!